Pro Bowls and All-Pro teams are nice, and winning an MVP or Player of the Year award can lead to a big payday, but being elected into the Pro Football Hall of Fame is the highest individual honor an NFL player can receive. Each of the players who are fortunate enough to have earned a bronze bust in Canton, Ohio can all lay their heads down at night knowing that they have achieved football immortality. 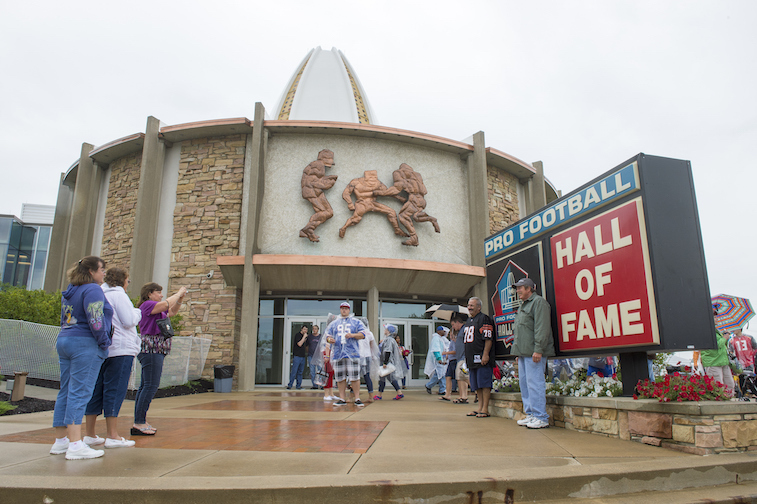 To be eligible for selection to the Pro Football Hall of Fame, a player must be retired for at least five years. With that being said, there are several active players who have already done enough that they should be considered locks for the Hall of Fame once they become eligible. This article will focus on those players. Before we continue any further, we wanted to point out that this list will not be featuring Peyton Manning, Tom Brady, Drew Brees, or Aaron Rodgers. We opted to not include the quarterback position for the simple reason that the aforementioned four players are all beyond-obvious picks — in fact, we would be surprised if all four of them don’t go on to be unanimous selections. As you read through this list, you will find that each of the following 10 players already have Hall of Fame-caliber resumes. With that, here is a look at 10 current NFL player who are locks to be elected into the Pro Football Hall of Fame. Fitzgerald may be a little past his prime, but the eight-time Pro Bowler can still play at a high level. 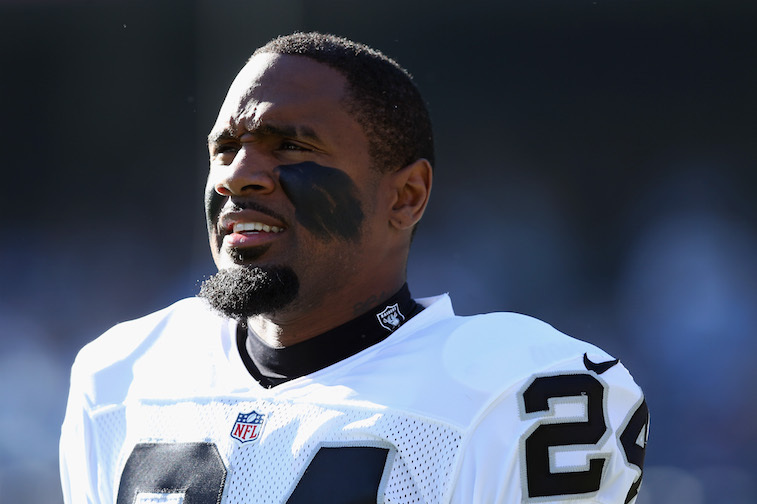 Over the course of his 11 NFL seasons, he has compiled a strong enough statistical resume to be considered a likely first ballot Hall of Famer. 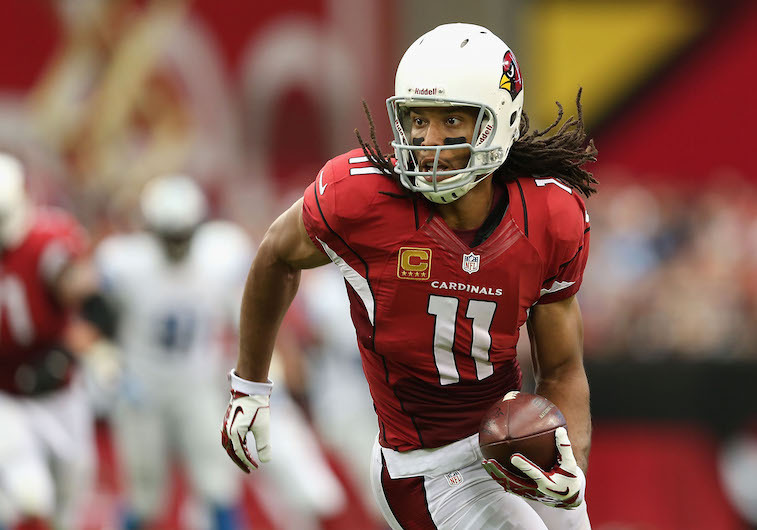 Given that he is only 31-years-old, Fitzgerald could conceivably play for at least four or five more seasons. If he does, he could very easily become the sixth player in NFL history with 15,000 or more receiving yards. Gates helped revolutionize the tight end position at the NFL level. He has been so dominant throughout his 12-year professional career that if he retired today, he would almost surely be a first ballot Hall of Famer. 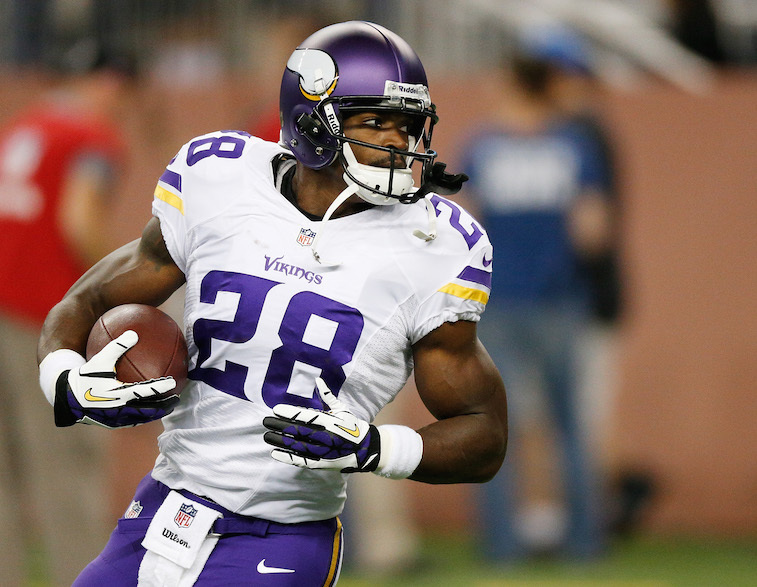 Regardless of whether or not Peterson ever regains his MVP-caliber form, the 30-year-old is bound for Canton. He will likely go on to join the exclusive club of running backs with 100 career rushing touchdowns, and there is a legitimate chance that he could become only the fourth back in league history to rush for 15,000 or more yards. If you’re asking us, Allen has already earned a bronze bust in the Pro Football Hall of Fame. The 33-year-old defensive end is a four-time first-team All-Pro and a near lock to finish his career in the top five of the NFL’s all-time career sacks list. 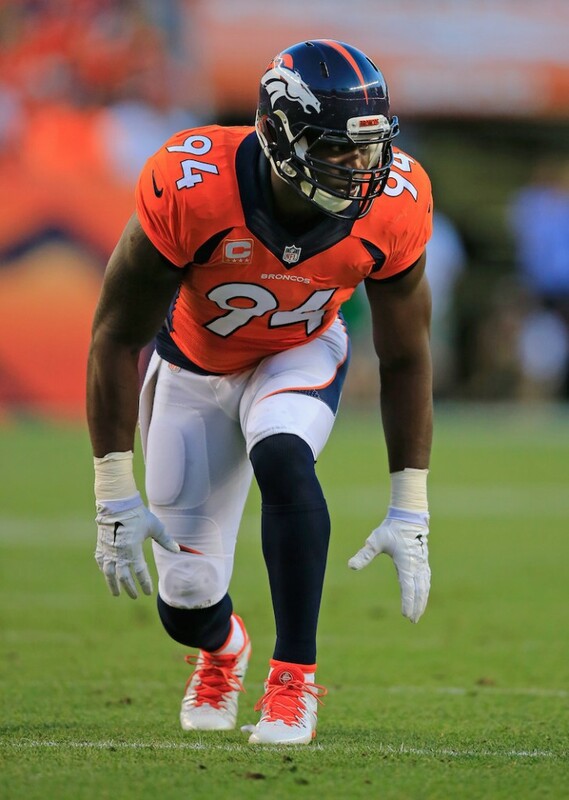 Ware is in a very similar situation to that of Jared Allen. The 32-year-old outside linebacker already has a Hall of Fame-caliber resume to his name and will likely play long enough to finish in the top five of the NFL’s all-time career sacks list. Revis may not have a gaudy interception total, but there is no denying that the four-time first-team All-Pro cornerback is one of the best defensive backs to ever play in the NFL. Opposing offenses rarely test the 29-year-old, who was the best defensive player on the New England Patriots Super Bowl XLIX winning team. Very few NFL players are capable of playing at a high level into their late-30’s. Woodson (pictured above) is one of them. The first ballot Hall of Famer has been stellar throughout his 17-year career, earning first-team All-Pro honors seven times as well as winning the 2009 NFL Defensive Player of the Year award. The 1998 NFL Defensive Rookie of the Year is the only player in league history with 60 career interceptions and 20 career sacks. His place as one of the best defensive players in league history has already been sewn up. Smith is a classic underdog: at 5-foot-9, many scouts felt he was too small to be a No. 1 wide receiver at the NFL, and Smith subsequently fell all the way to the third round of the 2001 NFL Draft. Smith would go on to prove his naysayers wrong by developing into one of the most explosive wideouts the league has ever seen. The former Utah Ute has a bronze bust waiting for him regardless of whether or not he plays another down in the NFL. 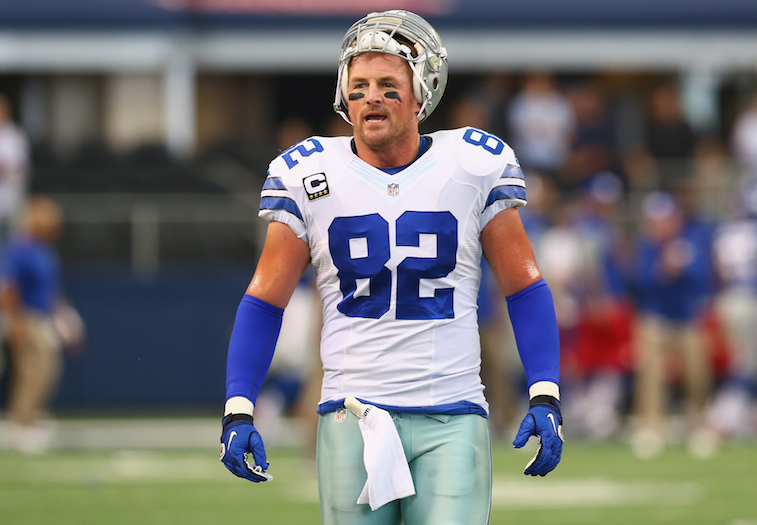 Witten’s Hall of Fame-caliber receiving stats only tell half of the story as to how great the six-time All-Pro has been throughout his career. On top of being one of the best pass-catchers of all-time, the 33-year-old also happens to be one of the best blocking tight ends to ever play in the NFL. It wouldn’t surprise us one bit to see Witten land a spot in the Pro Football Hall of Fame in his first year of eligibility. Johnson is yet another example of a player who could retire today and with a spot in the Pro Football Hall of Fame already locked up. After spending the first 12 years of his career with the Houston Texans, the 33-year-old wide receiver signed with the Indianapolis Colts this offseason. The 2015 season will mark the first time in Johnson’s career that he will be playing with an elite quarterback in Andrew Luck, and we’re guessing that the 6-foot-3 wide receiver will thrive in the Colts’ high-flying offense.